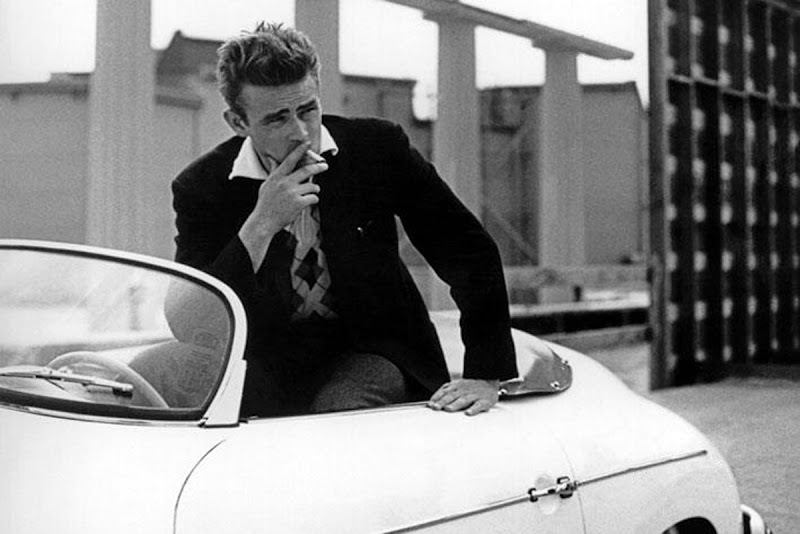 James Dean, to this day, is recognized as being one of the most iconic cool guys in history. 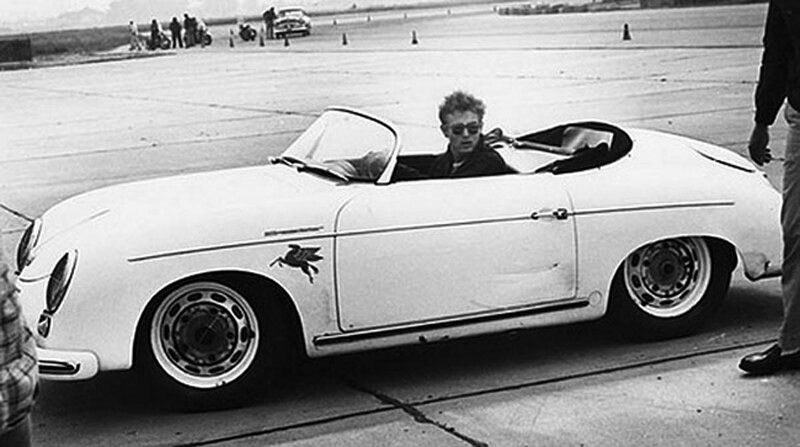 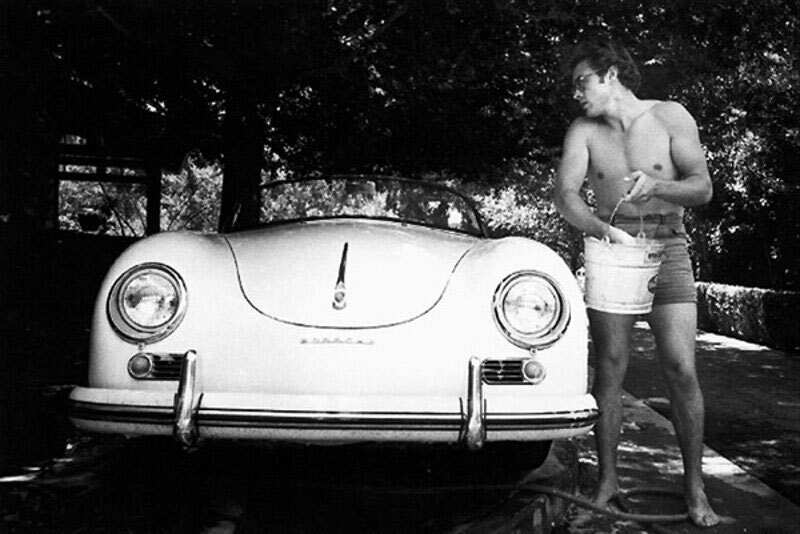 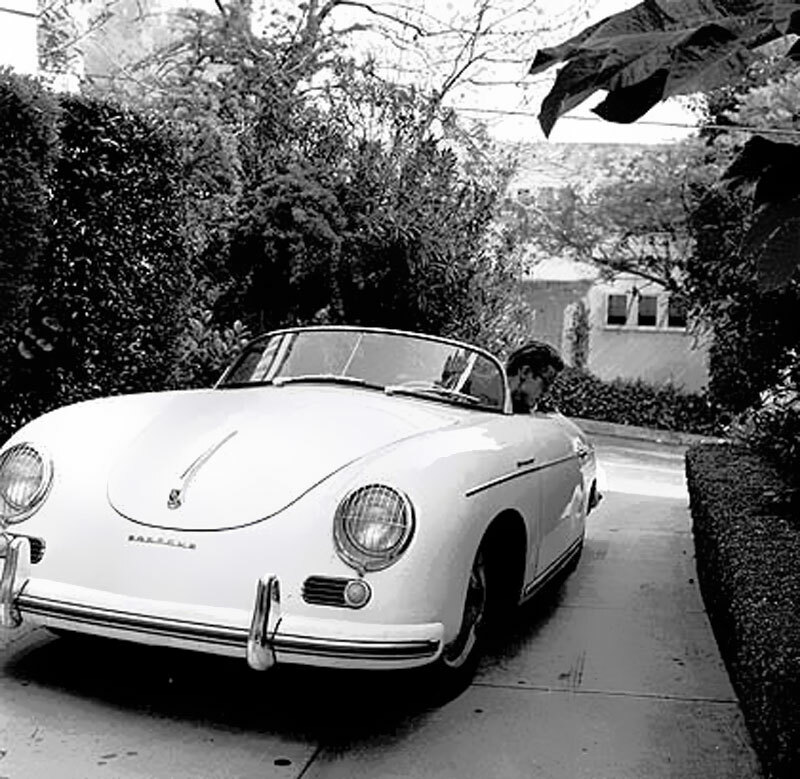 James Dean owned several Porsche's, but his everyday driver was his 1955 Porsche 356 Super Speeder, and in the following pictures, we see James Dean posing with his equally iconic Porsche 356 convertible. 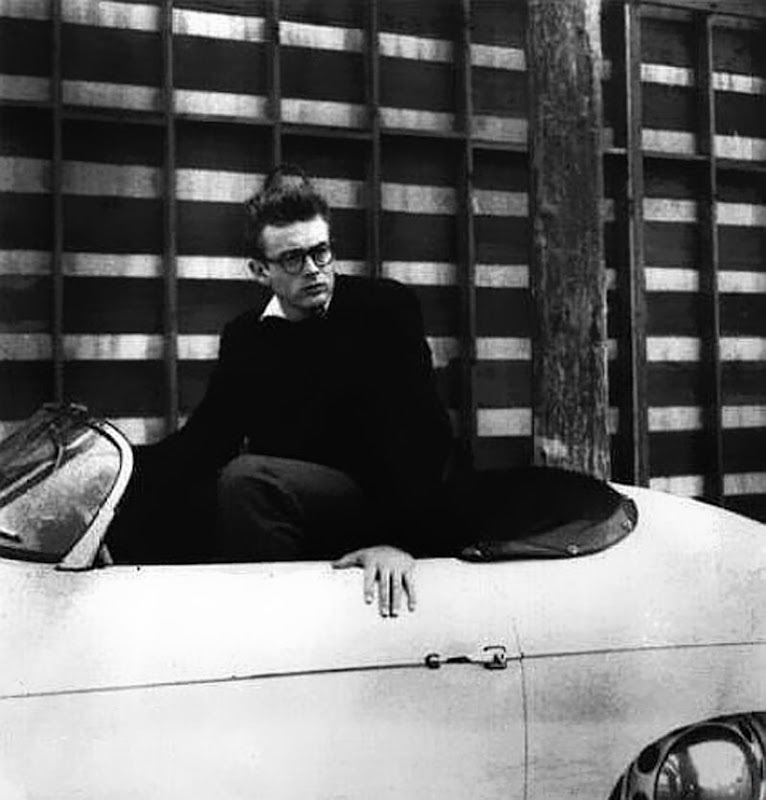 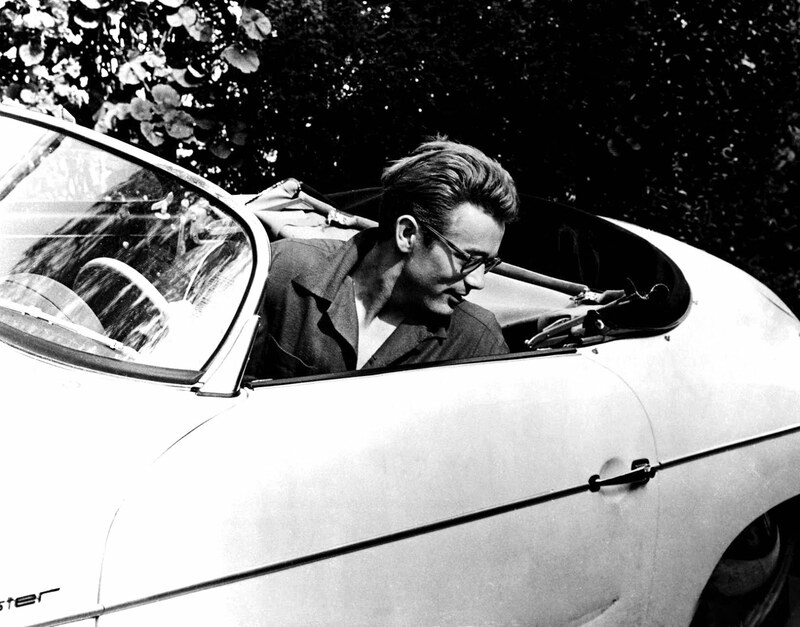 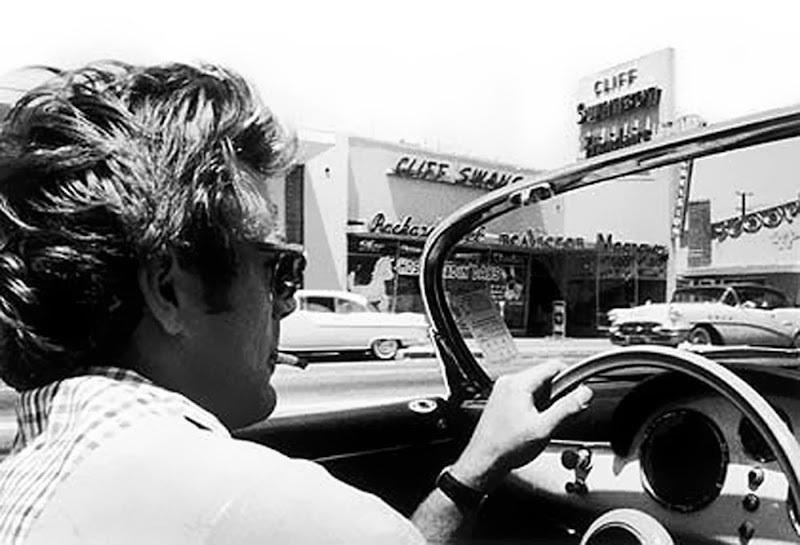 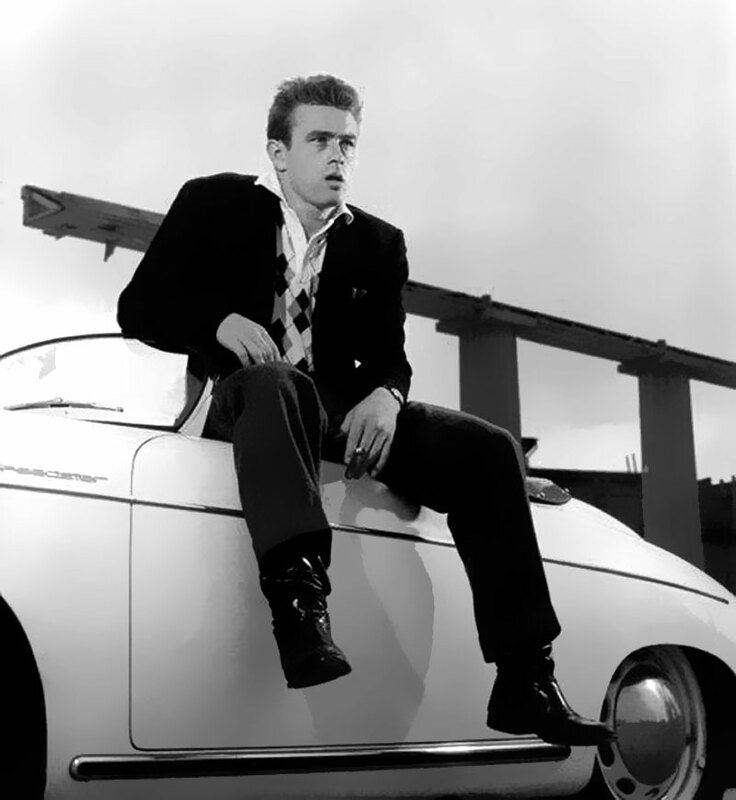 Notice in all of the photos of James Dean's Porsche 356, there are no rear view mirrors, which explains why in the next two photos, why he had to look backwards when driving in reverse.